Damien Jurado has had subtle shifts sonically in his career but everything he’s released has been distinctly Damien Jurado. Saint Bartlett changes that It’s not that Jurado is a complete unknown but on your indie scale he isn’t one of the upper echelon in popularity. Saint Bartlett might also change that. 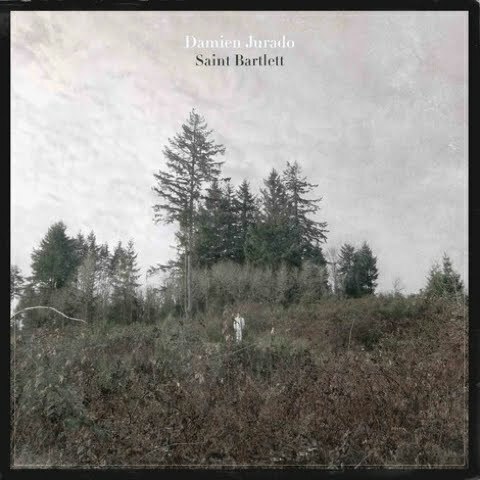 Saint Bartlett has what Jurado discography has yet to include, Richard Swift. Cloudy Shoes sounds more like a Fleet Foxes or Doves songs than something you’d find on a Jurado record. Arkansas has a quirky piano and a steady tom based drum beat, sounding like early Richard Swift. The album almost alternates between simple acoustic songs that have the feel of a normal Damien Jurado album and the lo-fi production Swift brings to the table. Kanas City is a pure Damien Jurado song but there’s a sample that plays int he background changing the dynamics of the track, something Swift is know for. Wallingford, a straight forward rock song, sounds like it could’ve been taken from Jurado’s I Break Chairs. There are moments that remind me of Jurado’s debut, Waters Ave South. Richard Swift has taken and enhanced what would’ve normally been another hauntingly beautiful record from Jurado and turned it into a lo-fi indie classic. It’s a great record and Swift’s production is perfect. It’s a new chapter for Damien Jurado and this could be the record that makes this indie folk veteran a new favorite.